WA's first bean to bar chocolate makers, turning raw cacao beans into single-origin fine chocolate. 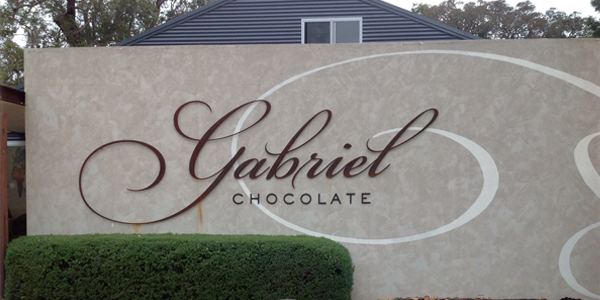 Gabriel Chocolate import the world's best raw cacao beans and turn them into fine quality single-origin chocolate bars at our custom-built chocolate gallery at Yallingup, in the Margaret River wine region. We are Western Australia's first bean to bar chocolate makers. Our single-origin chocolate bars enhance the naturally-ocurring flavour profiles of different cacao bean varieties. Indulge yourselves in a (anti-oxidant packed) holiday treat or find the perfect gift for your foodie friends, family and clients. The chocolate was superb, but the place was relatively small, with limited products. The young guy was knowledge enough. Disappointed in the "packs" of chocolate wrapped in ribbon h they didn't have the combination we wanted and declined to prepare one, so they missed-out on selling more than they otherwise did. The fellow in charge of taste testing on Wednesday was very knowledgeable and enthusiastic. He did a great job of engaging everyone who walked in and made us feel like we got a tailored experience. The chocolate, of course, was also excellent.The winery next door is also very good, so don't think twice about visiting! The top quality chocolate in Margaret River. Learn how the chocolate is made from bean to bar. And sample the finished product from milk to dark chocolates. There's also ice cream and a place to run around for the kids. Not cheap but quality never is. Friendly and informative staff! The iced choc drink could be more chocolate-y though. Bought a couple of chocolate bars to bring home! All round excellent taste experience for our family of 7 from Perth and France. Loved my mocha with white chocolate! !